Born in Brisbane (Queensland), Pat Blackall graduated from the University of Queensland in 1973 with a degree in Microbiology. He joined the then Department of Primary Industries at the Animal Research Institute as a diagnostic bacteriologist, under the tutelage of Geoffrey Simmons. Pat became a full time research scientist, still at the Animal Research Institute, in 1980. Shortly after, he undertook a part-time PhD degree, at the University of Queensland, that was completed in 1987. Pat remained at the Animal Research Institute till the closure of the Institute in 2010. At that time, his laboratory moved to a new site (the EcoSciences Precinct) and Pat took a secondment to the University of Queensland. His roles continue to include that of a research scientist, but have expanded in recent years to include editorship of journals (Journal of Applied Microbiology, Journal of Veterinary Diagnostic Investigation), as well as research management in his role as Research Manager for the Poultry Co-operative Research Centre. 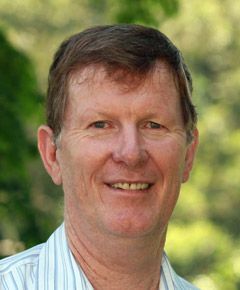 Although best known for his work on poultry bacteria, Pat has also worked on bacterial respiratory diseases of cattle and pigs, as well as food safety and the survival and impact of zoonotic bacteria in the environment in and around intensive animal production systems. 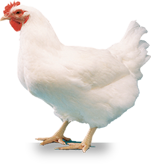 In the poultry field, he has published work on infectious coryza, fowl cholera, bordetellosis, and Campylobacter and Salmonella in poultry. His laboratory continues to function as an international reference centre for the members of the family Pasteurellaceae, offering identification, serotyping and genotyping services. Pat remains a keen taxonomist and has been involved in the formal naming and description of three bacterial species – Avibacterium paragallinarum, Bibersteinia trehalosi and Bordetella hinzii. By 2012, Pat had published approximately 174 papers in peer-reviewed journals. His contribution to science was recognised by awards from industry, academia and the state, including the Frank Fenner Research Award in 1993 and a Public Service Medal in 2011. Outside work, Pat is an avid bird-watcher, a hobby that can be easily combined with visits to poultry farms in various parts of the world.